This almost looks like a TV script. CG11, ep1953, SatCong and 15 others like this. Glad he was able to intervene and survive. airslot and Gabill like this. Brave and lucky is a good combination. Spokane1969, xXxHeavy, Texas Red and 9 others like this. "I'm not a hero. I do what I have to do." How many times have I heard that exact statement? I honestly believe that is the definition of a Hero. Glad to hear the Good Guys survived and the BG's now both face justice. viney266, GpTom, Spokane1969 and 9 others like this. Pedro obviously exercised great courage in the situation. However, I think he endangered the hostages by an assault while hostages were totally controlled on the ground by the perps. Had I been Pedro I would have taken a position where I could engage the perps once they moved away from the hostages and toward the display counters. Meanwhile, guts is guts, and Pedro has guts. Gabill and TSKnight like this. "Gun smoke fills the air..." More like drywall powder. Too bad Pedro didn't get a two-fer. ep1953, msgt/ret, viney266 and 5 others like this. It seemed to me that Pedro had them by surprise but didn’t fire the first shots. Hesitation or time to process what he was seeing? Spokane1969, alsaqr and seeker_two like this. Texas Red, Spokane1969, hogdaddy and 3 others like this. Keep shootin Pedro...keep shootin till the job is done..
A few weeks ago I was out and about with my wife and we parked in front of a jewelry store, one of the few places that posts a 30.06 sign on their door. I was telling her how that should be the last place they wouldnt want their customers carrying since they are a prime target for robbers. 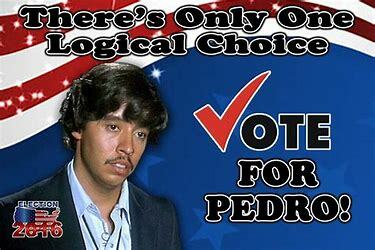 Glad Pedro was carrying and saved the day! Snub44 and msgt/ret like this. He's probably one of those who've decided they'll only need what's in the gun because he doesn't plan to need more.